Already a few days in the new year, did you make some new year’s resolutions? For me a good way to start the year is to declutter. I try to do it on a regular base and every time I’m happy I can give a bag of things away or throw things out. It gives space in the room and space in my head. 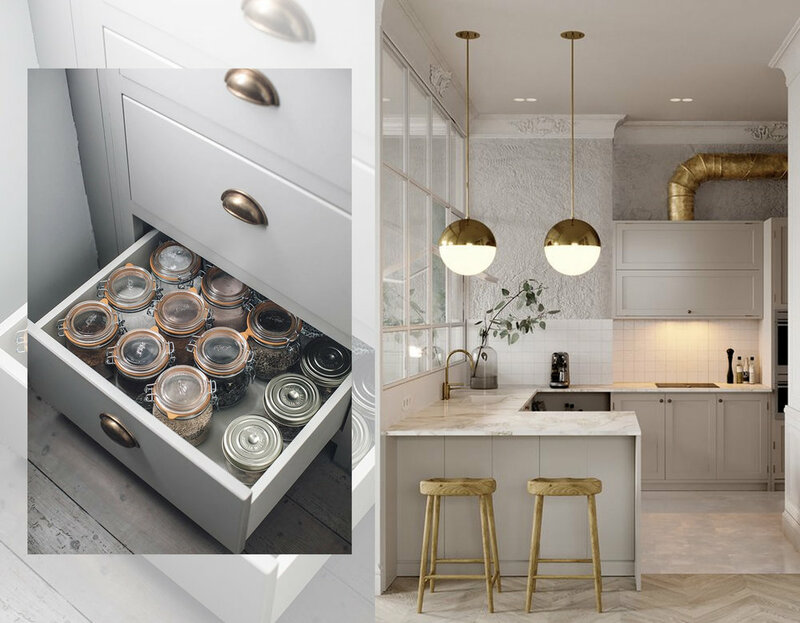 Beginning of the year is also the time we make a new list with dreams, projects, personal goals…… and some of you will move in a new home, but most of us like to give our home, or one or another room a small re-look. And we can do a lot with a small budget or even without a budget. The entrance is the room which will give the first impression to your guests but it is also the first room you will see when finally arriving home after a long day in the office, in traffic. It should make you feel more relaxed from the moment you enter. The entrance should be very practical: a place to hide the shoes and coats, a small seat is always a plus for putting on the shoes in the morning or to drop your handbag when arriving at home. But it should be more than just practical, make it look wow. A nice mirror and some accessories will do the job perfectly. It is also te room you can do something you wouldn’t dare in another room, such as using a special color or wallpaper. How to give a fresh look to your bathroom and kitchen without spending a fortune? Changing tiles would be a major work, painting the cabinets could be an option. Change the hardware and you will see how big of an impact this can make. Brass finish is making a return in the bathroom and kitchen hardware. We all have a lot of small bottles and containers in our bathroom, try to keep them together on a small rack or on a tray, wire or woven baskets. Even harder in the kitchen to get everything organized. You need the right container for the right job. Every room will have its way to get organized, keep order. Dividers for kitchen, bathroom and office drawers to keep all small supplies in order. Boxes with name tags for items you don’t access regularly. Buckets are perfect to keep things together, decorate them on the outside. Woven baskets will look also great on a shelve. For bigger containers look that they have handles as it will be easier for transportation. Make small changes. Declutter the living room, combine some pillows in different shades on the sofa, Keep all the accessories and decoration in the same colors to give the room a relaxed look. Re-think on how to style the book shelves. Add pictures and other small decorative objects to give more character to your library. Not all books have to be standing, put some down to create different heights so you can put a small picture on top. Show the cover of a book as if it would be a beautiful painting. You can also add a wallpaper in the back to make more impact. Art can make all the difference. Take all your art works and pictures from the wall and mix them differently. We make a picture wall in our living room, don’t forget that the staircase is a great place to install some art works, it will make your walk upstairs much more enjoyable. Choosing a paint color of the wall where you will install all your art works can be challenging as all the works have to work with the background. But in case you have just one big work go than for a more expressive color to bring the painting or picture even more in the attention. It can happen that we have pieces of furniture which don’t fit no longer in the interior. You have the option to throw it out or think about putting it in a different room, paint it and give it a new purpose. Before heading to a shop we can do some “shopping” at home and move things around and you see you create in an instant a new and fresh look. You will be surprised to see what you can do by just painting one wall or the whole room. Paint is not expensive, so you don’t have to be afraid to make a mistake. As the fear of not choosing the right color or tone people will just paint all in white or neutral colors, but colors can make a big difference. Even more effect you can obtain by choosing a new wallpaper, one wall with a stronger design will make that wall look as a piece of art. And to finish the whole refresh project you can introduce some home made room sprays or simmering pots to bring already a clean and fresh spring feeling in the house. Kick off the year well and enjoy it the rest of the year.